Honeybees: you either love them or hate them. The latter is understandable – the idea of a bee sting can inspire fear in even the bravest of humans, especially if they happen to be allergic. But the truth is, these insects really do more good than harm. Honeybees are a crucial part of the earth’s ecosystem, helping to pollinate flowers and garden vegetables. Before you decide to become an amateur beekeeper or let your beekeeping friends place hives on your property, you may want to weigh the advantages and disadvantages of honeybees. Honeybees are advantageous to plant pollination. They also make honey and byproducts that are great for human health and useful for the home. Their main disadvantage: they sting! Bees help pollinate flowers, vegetables and fruits in the garden by transporting pollen from plant to plant as they collect nectar to bring to their hives. Pollen attaches to the honeybees’ fuzzy bodies and rubs off on flowers from which they collect nectar. The pollen transfer helps plants to reproduce and produce fruit and seeds. If feral bees aren't available to pollinate flowers and crops, fruit and seed yields will be low. 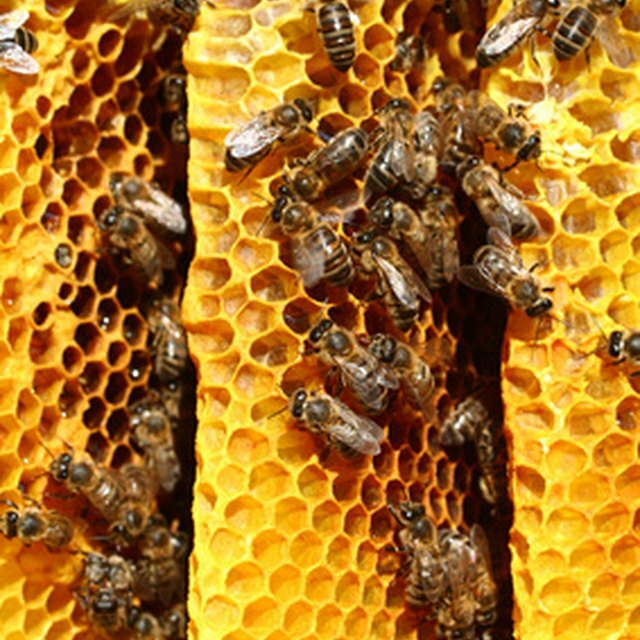 To ensure large yields on commercial farms, farmers may contract beekeepers. Bees convert flower nectar into honey and store the honey inside their honeycombs to provide food for newly hatched and overwintering bees. This raw honey is an excellent nutritional supplement rich in antioxidants, minerals and vitamins. Not only is it an alternative to sugar, but raw honey also helps heal wounds on the skin by killing bacteria and preventing infections. Traces of pollen in the honey can even help relieve seasonal allergies in humans. Raw honey is always in demand, and bee byproducts like wax and propolis are great commodities to have, too. Beeswax is useful for making candles, waxing wood furniture, polishing concrete countertops, preserving bronze and copper, and waterproofing leather. Propolis, a resinlike substance bees make from tree sap, is often made into furniture wax and car wax. Beeswax, raw honey, propolis and pollen can also be sold as natural health alternatives and supplements in fighting infections. Although extremely beneficial to crops, health, and making useful natural products for the body and home, the main disadvantage of honeybees is their painful stings. Fortunately, they only sting when they feel threatened, such as when protecting their hive from intruders, or when accidentally stepped on or squished. Because their stingers are barbed, they often remain inside the skin, releasing more venom and causing more pain. To avoid this, do not walk barefoot outdoors, and do not touch live bees. If you are stung, remove the stinger immediately with tweezers or scrape your fingernail over the sting to loosen the stinger. Porter, Penny. "Advantages & Disadvantages of Honeybees." Sciencing, https://sciencing.com/advantages-disadvantages-honeybees-8592788.html. 01 May 2018.